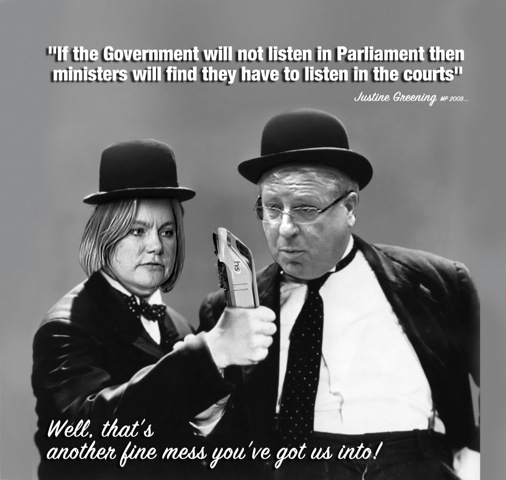 Judicial Review Reaction – good news! As you may have seen today the outcome of the judicial reviews was announced this morning. Of 5 cases, 4 were favourable to the government, although it is not as simple as it seems. Appeals have already been lodged on some areas so this is not the end. The HS2 Action Alliance Judicial Review on Compensation won! The 2011 consultation process regarding compensation was so unfair as to be unlawful! Great TV interview here. 2) the judical review that WON is the one that included evidence regarding the poor and what many residents called unfair and confusing treatment of Hillingdon residents by HS2 Ltd. The judge has used words like muddled, doomed from the start and foolish in regards to HS2. It seems that he is depending on MPs having the sense to see all the flaws in HS2 when it gets to parliament, but he obviously has a range of concerns and wouldn’t have granted leave to appeal if there were not worthwhile areas to follow. HS2 and the DfT now have to re-run the compensation consultation, and have to include the property bond as an option. Currently the government is running a compensation consultation for phase 2 (including those potentially affected by the Heathrow Spur) and we have all spent months responding to and preparing for the recent compensation consultation. We are not sure yet exactly how the re-run will work and and may have to do some of that hard work again!! The government may be spinning this as a “landmark victory” but how they can fail to apologise and be ashamed of being unlawful is beyond us! Hillingdon Against HS2 today asked Simon Burns (Rail Minister) whether he was going to sack Alison Munro (Chief Executive of HS2 Ltd.) over the judicial review outcome. No answer. We also asked Alison Munro is she was going to resign. No answer. We suggest you ask your MP to demand her resignation. The 51m alliance of councils are already planning their appeal. 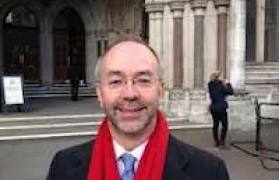 Their chairman Martin Tett, was at court today. Ray Puddifoot, Hillingdon Council Leader was quoted in this piece by the Gazette today. As were all 3 chairs of local campaigns. Watch out for us and felolw campaigners on news and radio programmes throughout the day. We’ve already done BBC 5 Live and will be doing BBC London radio at 5.10pm.